Spring is officially here and we’re seeing green grass emerge from under melting snow and flowers starting to sprout — and Mother Nature isn’t the only one bringing the green. We’re seeing it in fashion, and the hands-down-favorite green shade is pistachio. The Spring 2019 and Fall 2019 runways made a strong case for the pretty and versatile color. 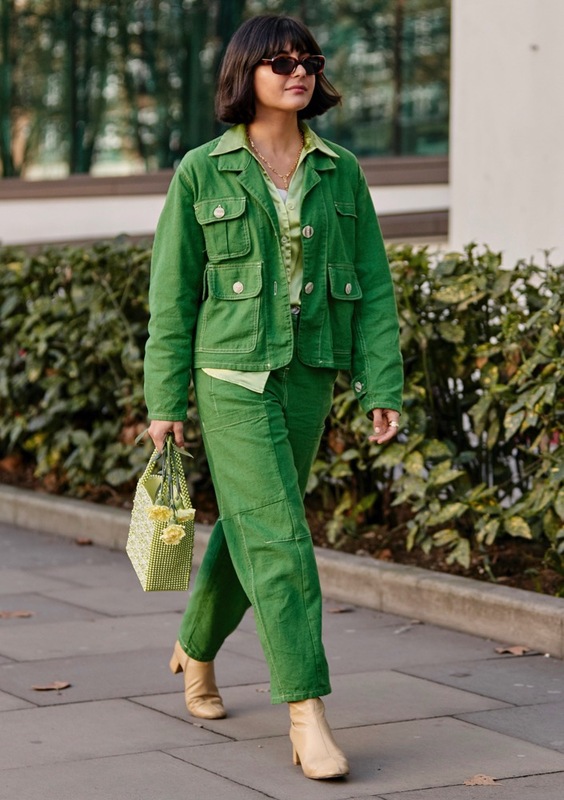 Pistachio green can serve as a transitional shade from winter to spring, will look beautiful in the warmer months and can be worn into fall in cool-weather pastel looks. To be clear, pistachio is different than Neo Mint. It’s miles from forest green and last year’s kelly green trend. The color is not the electric bright green of artificial pistachio pudding, either. The trending pistachio green has less blue than mint — it’s dustier with a tinge more yellow. All tones of the color are proving popular. The lightest offerings are like a pale macaron that hasn’t been liberally saturated with food coloring and the dark ones are closer to khaki or the shell of a pistachio nut. The benefit of the darker, more muted shades is they are pseudo-neutrals that can be paired with almost any shade. So try a pop of pistachio with one statement piece of clothing, accessories or shoes. Get inspired by the runway and wear the color from head to toe or experiment with different shades. These 17 pistachio pieces will get plenty of play.